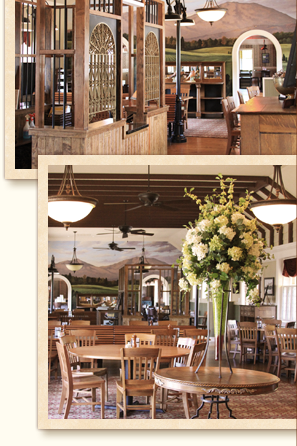 While the newly restored station house has a rich and colorful background, its present-day use as a full service restaurant showcases the history of the building and of the Bedford, Virginia area. Our menu of delicious American fare, created with the best ingredients available, will satisfy the appetite of travelers and locals alike. Best of all, our guests can complete their meal with a slice of Harry's Famous Cheesecake - in any of our tempting flavors that will leave you wanting more! The Bedford Professional Women named Liberty Station the 2007-08 "Business of the Year." And, the Bedford Area Chamber of Commerce selected Liberty Station as the "Small Business of the Year" (50 employees or less) for 2006. Made with the best ingredients and shipped directly to your door. "After one bite you'll be hooked. Every flavor is just as good as the next. You will fall in love with them. I did!" and taste Harry's Famous Cheesecake for yourself! Birthdays, holidays or just because, Olde Liberty Station Meal Ticket Gift Certificates are sure to make people say, "Ooooh." You can order them in any of 16 denominations right here, and shipping is free! Unfortunately, we are unable to ship cheesecakes due to our shipping materials being discontinued. At this point, we have not been able to find appropriate replacements but will continue to look. Until then, we would like to thank everyone for their support and look forward to mailing cheesecakes in the future! You can still order cheesecake in the restaurant, by the slice or entire cakes! If you are planning a trip to Bedford, the sites listed below will give you some information about our historic community.